Instantly add 80 GB of portable storage for all your business files, music, video, and games with a WD Passport portable USB 2.0 hard drive. This high-performance, 5400 RPM drive is simple to use, light and easy to carry, and requires no power adapter for most systemsits powered directly through the USB cable. WD understands the importance of the information on your drive so weve designed a cool, rugged, shock-absorbing case to protect the 2.5-inch WD hard drive and the data on it. Easy connection to PC or Macintosh&reg; laptops and computers. Fast 5400 RPM 2.5-inch drive performance - almost 50 percent faster than 4200 RPM drives. Back up your existing notebook hard drive for extra data safety. Easily share files between computers. Lock up your drive for extra security. Power-conserving design prolongs laptop battery life. 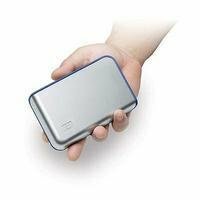 Safety tested, one of the few external drives with certification to meet all applicable safety requirements. Power conserving design preserves notebook battery life. Powered by the USB bus.No separate power supply needed for most systems. Serial ATA drives perform better than the equivelant Parralel ATA drive from the same manufacturer. If you're current system doesnt have SATA support on board you can easily get a controller card for a decent price to add this capability to you're current desktop. I have noticed a very significant speed increase in raw data rates when put head to head with PATA drives and this Western Digital drive is a very solid performer. In addition to the speed increase over Parallel, you also have the ability to mount more than 2 drives (master, slave) to each controller enabling you're system to have as many as 16 drives per controller, you can also add multiple controllers so you're limiting factor is the case the system is mounted in. With 250GB per spindle, were talkin about storage in the range of 4 Terabytes in a non-RAID configuration (Redunt Array of Independant Disks). With RAID5 you gain some degree of fault tolerance, which is the ability to lose one drive per controller without losing data. I have always had good experiences with WD drives, so when I needed an external "backup" drive, I purchased this one(purchased 11/03). Over the next 3-4 months I would backup my data to the drive. Each time, I would power up the drive, copy my data, when completed I would ask Windows to disconnect the drive, then I would power it down. Recently (5/04, 6-months later) I needed to restore my data from this drive, after many loud clanking sounds, the drive now cannot copy any of the data from the drive. This drive was not disturbed, jarred, dropped etc. In fact, it has not moved at all since I installed it and it had less than 10 hours of total uptime on it. I am very disappointed in this product from WD. I now face the decision: do I spend $$$ to recover the data and have the warrenty voided, or do I just "let it go" and get a replacement drive and hope this doesn't happen again. Bought this one 3 months ago and haven't run into any problems. Although only running with USB1.1 on my P4 1.6Ghz IBM T-30 with WinXP, the speed is totally acceptable for my monthly backups and media storage. The clear box and neon lights make my small workplace look more contemporary. Definite worth the money! Can A Hard Drive Be Cool? I've had no problems whatsoever with this drive, nor with the two 120 Gb Special Edition Western Digital internal drives in my computer. This 250 Gb drive is great for backing up the two internal drives (though I'm a long way from filling them up), then carrying elsewhere to store away from the computer. And the colored lights in the case do make this drive look really cool. This is simply a standard Western Digital 250GB(*), 7200RPM, 8MB cache hard drive in a cheap plastic case. At this time, this is the largest drive available. I find the 250GB to be misleading, hence the asterisk; Western Digital takes the non-standard convention of 1GB = 1 billion bytes rather than the more standard base 1024 number of 1.07GB (sometimes this interpretation is written "gB" to avoid confusion with "GB"). So I feel cheated on the most distinguishing feature of this drive, it's size. The nice part about the drive is that I just dropped it in and it worked in Windows XP Pro. I used Firewire at home and USB 1.0 at work. Even with Firewire, it took about 2 and a half hours to fill up the drive with my music backups, which is why I got it. That works out to about 20MB per second, or 160 megabits per second, so it's likely to be faster than your network, but not nearly as fast as an internal drive. And it's surprisingly quiet; the drive is insulated with little rubberish pads between the drive and the case. I really disliked the "special" case, which is the only one in which it's available. It is transparent, so you can see the fairly low quality construction of the enclosure, which unfortunately doesn't seem to be removable or reusable with another drive in the future. But the worst part of the case is the rather bright glowing LEDs, which are filtered and run through light sticks to emanate a ghostly pink and lavendar that nearly lights up a room at night. This competes with the standard green and red LCDs on the front of the case, to make the whole thing look a little less than inconspicuos. The WD1200JB is the drive that was included in my PC when I bought it in early 2002. Trouble free operation, and quiet. After 2 years with my PC running 24 hours a day seven days a week, the drive motor began to whine- not bad for 2 years running constantly. I just replaced it with a new WD1200JB. Installation and data transfer was simple with the Data Lifeguard software. Stay away from this drive, even though it's cheap! They are known for having bad sectors and eventually just failing (especially the 120GB model). I have one, and I lost all my data (I know I should've backed up my files) due to this hard drive. Go with a Maxtor, Segate, anything but this drive. I bought this drive to replace a smaller, slower drive. I installed the new drive as master and the old one as a slave, and rebooted using the included Data Lifeguard software. Formatting and partitioning was a snap, and there's a utility for copying the contents of one partition to another. Once that was done I could boot off of the new drive and not have to re-load any software. The only quibbles I have: The drive didn't come with spacers/rails to fit a 3.5" device in a 5.25" slot, so I had to make a trip to the store for that. Also, copying the partition took about 4.5 hours for 14.3 GB. My PC is an HP Pavilion w/ 1.2 gHz. Athlon and 512 MB RAM. Western Digital makes some of the best Hard Drives. I picked this model up for $79 bucks after Rebate. the warranty on this drive is one year...not three. WD changed it's warranty period a couple of months ago. Despite reviews around the net this drive has no controller card as those shipped by WD after October. The 7200rpm 8mb cache Western Digital JB line of hard drives are the best that money can buy. Though they run at ATA100 and not ATA133 like the Maxtor Diamondmax Plus series, the benchmarks for the Western Digitals are quite impressive in read time and transfer rate. Many of its competitors use a smaller 2mb cache (the buffer between your drive controller and the physical drive heads), WD's 8mb cache makes a big difference which can be proven by just comparing the 2mb version from the same manufacturer. 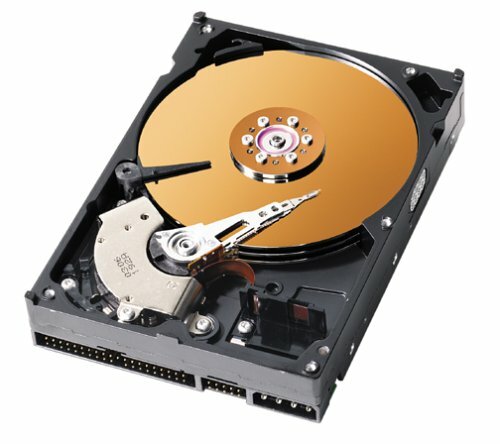 Reliability is a factor that is very crucial when hard drives are concerned. Even if you have a 3 or a 5 year warranty on your drive, if it fails generally all data is lost and it must be sent back to be replaced. In that unfortunate situation you are without the use of your computer for as much as 2 to 3 weeks waiting on an RMA. In the industry I work, we use many flavors of drives from 15k rpm U320 SCSI drives to all sizes of IDE. I have in depth experience with every brand available on the market. We have hundereds of each unit from Maxtor, Western Digital, Seagate, Fujitsu, etc, and the best competitor on this market to Western Digital is the Maxtor Diamondmax Plus. We unfortunately have seen a very high failure rate among the DiamondMax Line, upwards of 10%. I have 3 large 2 terrabyte arrays built with these Western Digitals that come under heavy strain (approximately 16 hours a day of maximum reading and writing), I have only seen one failure that was fixed with firmware update. Firmware being an update pushed out to the drive to fix on board controller issues. Unlike "e-pharm's" generic review of every single Western Digital external hard drive, I have owned this 80Gig drive for about 2 months so far and it has worked great.Stackable, super quiet, easy to install, and trouble-free (thus far). 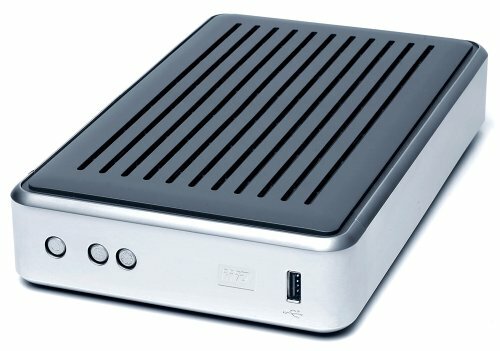 Just my experience.I have also just added the 120Gig WD external to add to the stack and use with another computer...very sharp looking as well. With the rebates offered from time to time, you can't go wrong. This drive worked beutifully in the first 6 months, regardless of the infrequent unexplained miscommunication with the 3 PCs in our school lab. After I trusted it for all our lab work and research data backup, done just once every month, it suddenly gave clicking sounds and stopped working. After extended agony with the customer support, I got no understanding or even the will to help or just listen. Surperisingly, when I talked about this subject with some of my collegues in our University, I discovered that many of them, in defferent departments, suffered from the same problem with different models of the Wistern Digital external hard drives (USB/Firewire). Western Digitals Enterprise Serial ATA hard drive, the WD Raptor, is built for speed, with 10,000 RPM rotational disk speed. Designed for years of high-performance operation around the clock with an MTBF of 1.2 million hours. Backed by Western Digital's five-year warranty. And built for value, priced up to 30% less than SCSI hard drives. Retail kit includes: cable, utilities diskette and installation instructions. PerformanceHigh-throughput SATA technology serves up huge files quickly, maximizing system utilization and enhancing productivity. Availability Users with the greatest need for high uptime and effective failure protection can count on SATA to keep their data close at hand and available. Data IntegritySerial ATA technology provides additional measures of data accuracy and freedom from data corruption. ScalabilitySATA supports the user's ability to build onto an existing system, in terms of both performance and capacity, while preserving valuable storage investments. InteroperabilitySerial ATA leverages industry standards by providing an enterprise solution that's interoperable with other storage network elements, systems and applications. 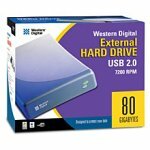 So your building yourself a fast new computer, or upgrading an older one and want a fast hard drive...well turn away from those 7200 RPM drives and welcome the WD Raptor. This thing MOVES, whether its a simple windows bootup, locating files, virus scans, this is a monster drive in terms of speed. Western Digital is a well known quality hard drive maker, and they have done it again. I've actually got 2 of these in whats called RAID 0, where Windows XP sees my 2 raptors as ONE drive, splitting the work up equally and producing some speedy C drive! However, from what I've seen, one raptor is enough to see the true speed of it. Highly reccomended for computer enthusiasts like myself. 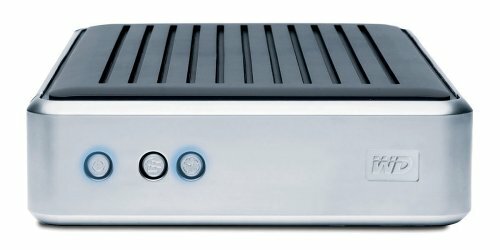 P 4 3.4ghz Extreme Edition, X800 XT 256mb PCI-e graphics, 1 GB DDR2 Ram, dual WD raptors 74 gb in RAID 0, Audigy 2, Dell 20 inch Ultra sharp LCD, Klipsch Promedia 5.1 500 watt surround sound. A bit hot and expensive, but incredibly fast.Great drive. 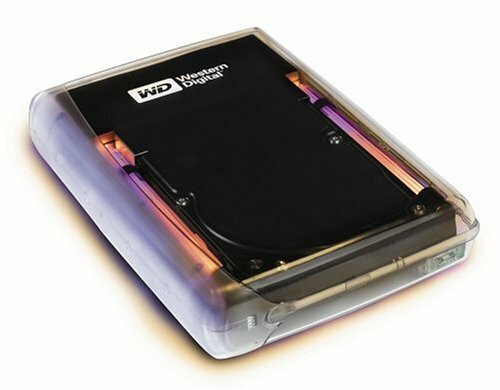 The WD Raptor WD740GD is simply put an insanely fast 10k RPM hard drive. Outside of even more expensive Ultra320 SCSI 15k RPM units, there isn't much that competes with it for pure speed.It does run a bit hot and at almost $3 per MB it's massively expensive, but for what this does you can't complain. Hard drive performance has never really been about the interface, as once manufacturers moved from the very old ATA format it's pretty hard to get a drive that's fast enough to take full advantage of the bandwidth.As an old SCSI hand, I learned this the hard way by paying a large premium for my first hard drive in 1988 - a nice slow 74 MB SCSI "monster. "(I was worried about obsolesence; this was before I learned about replacement cycles. )While SATA (replaced IDE/EIDE, which replaced ATA) is a nice step up in theoretical transfer rates, quite frankly most drives don't get anywhere close to needing it.However, the WD740GD is one of the few, with sustained transfer rates that mirror that of SCSI drives.As an old SCSI hand I hate to say it but a drive like this proves there's no real reason you need SCSI outside of servers now. Since most applications don't require enough data to max out data transfer rates, the real key is the 10K RPM and an 8MB cache that appears to be somewhat faster than the competition.Cache is generally underrated, but critical - I held onto a 16MB ISA SCSI cache card for years past nominal obsolesence since I found it raised performance something like 25% for most applications - and the cache here appears fairly good if not state of the art (like the rest of the drive, which lacks TCQ firmware controls for quicker read/write). Check websites for current access numbers, but as of this writing a sub-8ms average read is simply awesome. In non-theoretical use, you typically won't notice the extra couple of seconds this saves for loading large apps, but I've timed it and its there. (What you'll notice most is that Windows XP starts up quicker. )I found this runs a bit hot but nothing a well-designed system can't handle, and while not terribly noisy (especially compared to my old IBM drives) you do notice when it is at peak transfer rates. Dell Diagnostics Tools found problem in the drive six months from the date of purchase. But Western Digital did not accept that since 'their' Diagnostic tool did not find any problem. Drive developed serious problems in 1.5 years (this time detectable with Western Digital tools too). Since Western Digital provides 3 year warantee (unlike Maxtor and Seagate), I got the drive replaced. They shipped the new drive fast. The replacement drive (refurbished) died in two weeks (! ), resulting in complete data loss for me. Of course, nobody takes any warantee for data, not even those who provide backup software that can fail to restore! I have never used Maxtor or Seagate, so cannot say if those are better. Dell originally gave me 20GB drive (again Western Digital). 2.5 years old but works great! I bought this drive and am just SHOCKED at how fast it is -- it's truly incredible. I'm coming off a 2 year old OEM Western Digital drive and windows xp was taking 2-3 minutes to load on my P4 1.3ghz with 380megs rd-ram. No joke, it takes 4 1/2 seconds to load windows now, I'm just absolutely shocked at the difference this drive makes. Blazing! Buy it, buy it...buy it. I bought this hard drive thinking it would be good because Western Digital was a good name that you could trust. It works fine for the first 6 months and those of you who just bought it might think I'm dead wrong, but just wait. Everything begins to go wrong, and I've taken every precaution to make sure it stops messing up. Nothing works. I have to reformat every month because it doesn't want to work for some reason. Do NOT get this drive, it will give you fits. And this isn't because I had a defective drive, I exchanged it for a different HD and had similar problems. I recently bought a new hard drive from Maxtor. 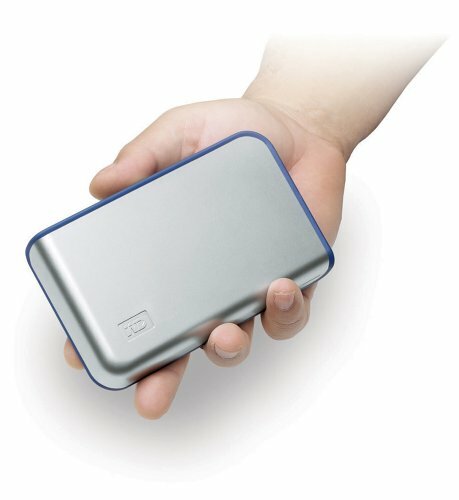 Maxtor seems to be making good hard drives. I've had no problems with the 160GB drive and it works wonders compared to the WD drive. Those of you looking for a new hard drive, do not be fooled by this one. I have tried these hard disks working solo and with RAID, i didn't have any HDD failure, they are fast and quite. What kill's the HDD is the application you are using the HDD for like caching for internet files small size of files and lots of them, this is for sure will destroy the HDD, also there are two impotant things 1. Ventilation 2. Power failure these will reduce the operating life. Cons: Fairly quite, easy to use just plug and play, reliable... haven't read a bad review of western digital yet, and doesn't run that hot! Negatives: No on /off switch, I guess the FAT32 could be a negative, but doesn't really concern me cause I don't transfer more than 4 Gig's at a time. No automatic backup software. All in all this is a great drive, it's reliable and works well, I mean what else do you really want?? - Windows XP plug and play worked as it should. - Decent speed. I transferred about 10,000 files, 5GB of data in 12 minutes, which comes out to about 7MB/s. The theoretical limit for USB 2.0 is 60MB/s. Taking into consideration the overhead of 10,000 files, I felt the speed was decent. - Good value for a reliable external drive. - lacks a user manual! It comes with a quick install poster, which basically just tells you 1. plug in power, 2. connect USB cable, 3. click OK to install. I went to their website thinking I could download a manual, but it doesn't exist! - as another reviewer mentioned, it's preformatted with FAT32, so you have to reformat it to NTFS yourself. This was harder than expected because there was no user manual. I had to dig in their knowledge base (which, btw, only worked with IE and not Mozilla) to find the info. Even though I was astounded that this product had absolutely no manual, I would still recommend this drive because it's a pretty good value. It comes in especially handy for archiving media files because I give my photos and MP3s long file names, so they get truncated on CDROMs. And I have found Western Digital drives to be reliable.